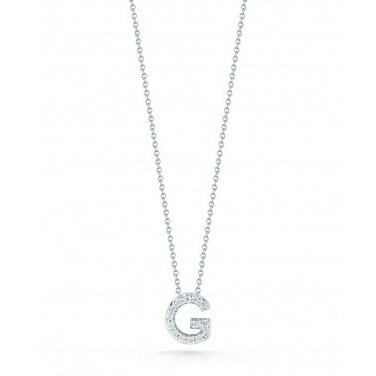 The letter G is for gorgeous, particularly when you wear this Roberto Coin necklace from the Initial Thoughts collection! 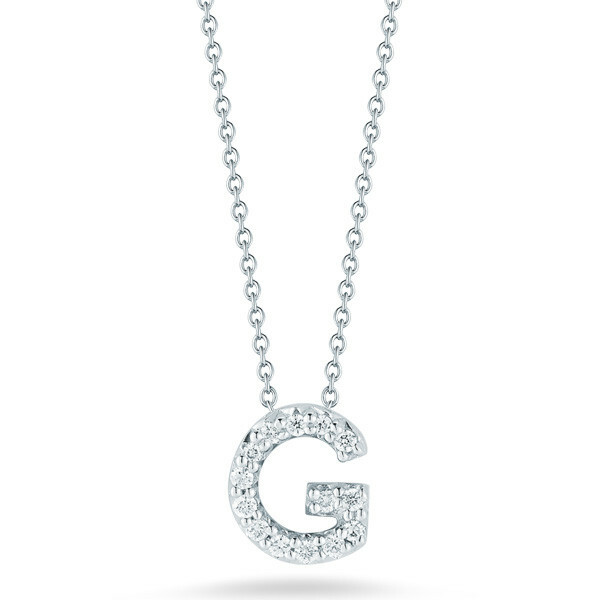 The glamorous 18kt white gold piece is enriched with glitzy white diamonds. The pendant dangles from a 16" white gold chain and will rest in the small of your neck. Enjoy the personalized attention of this great Roberto Coin piece!